Our members, sponsors, and partners truly define who we are and what we do. 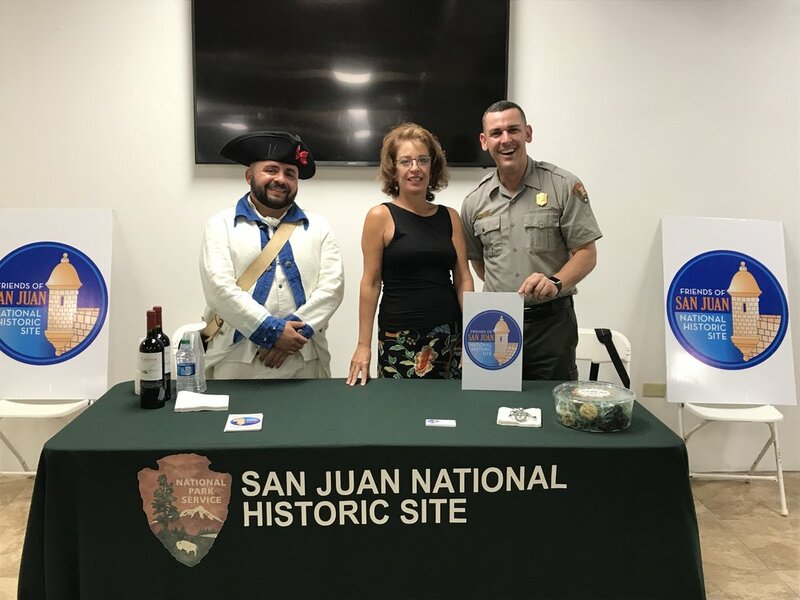 Only by working together can we make a positive contribution to the SJNHS and encourage our community's involvement in promoting and preserving Puerto Rico's cultural heritage. There are lots of ways to join our mission! As an individual, a family, or even as a company you can become a member of our organization. Membership includes lots of fun benefits, especially at the events we host and participate in around San Juan. Companies and organizations have the option of becoming a Friends of SJNHS partner or sponsor. Partners share in the task of raising funds and awareness about our mission by means of events and strategic campaigns; sponsorships are organized on a case-by-case basis and are customized to fit the needs of each company. Whichever way works best for you, we hope you will consider joining us! Fill out the form below and we'll get in touch with you right away. Let Friends help your company, organization, or group SET UP a special event, wedding, concert, or fundraiser in ONE OF the most unique environmentS in The Caribbean! We offer “special events” for our corporate partners who are able to continue educating their clients and guests about the historical and cultural significance of SJNHS. Events include unforgettable evenings complete with customized tours, dining, and dancing under the stars! Want to learn more? Get in touch with us, we can tailor each event to fit your needs!